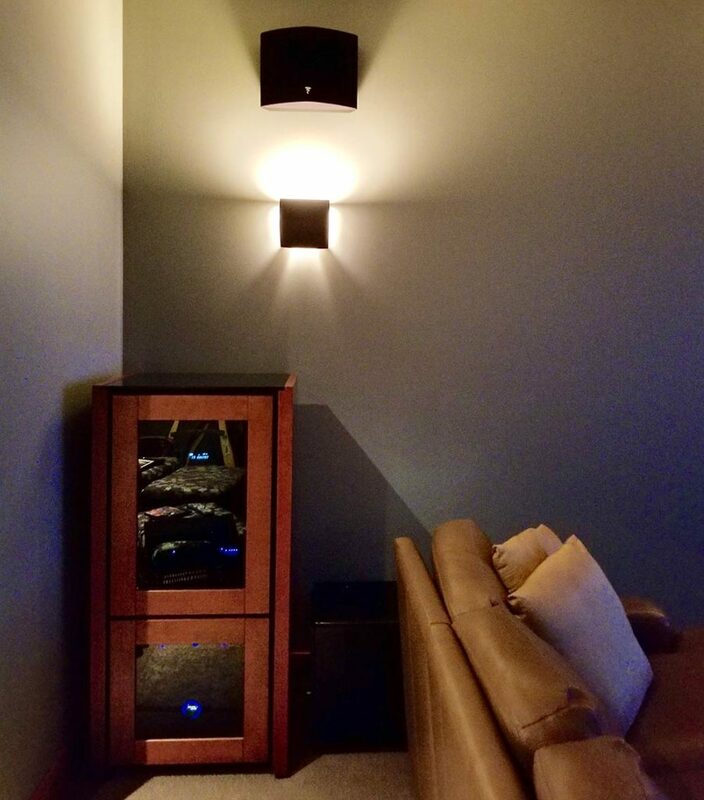 This week we finished a home theater system for two of our long term friends and clients. This is a relatively small room but fortunately has overall nice acoustics. I feel we reached a very nice balance of a large, engaging viewing-screen, along with exceptional sound to go with it. For the speaker system we used 2 JL Audio F113 series 2 subwoofers, which normally might be considered a bit overkill for this size of room, but that being said there is not an unexciting place to sit anywhere. 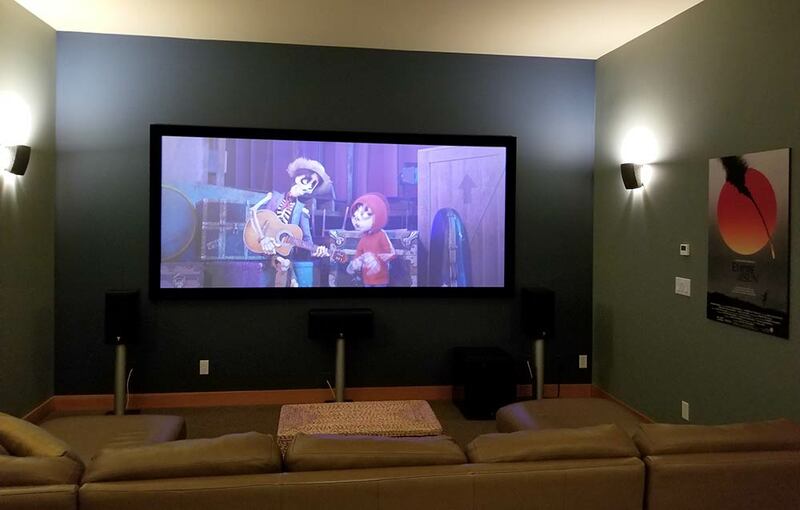 For the main speakers we installed a complete Focal Aria front, center and on-wall surround speaker system. We used the new Marantz SR 8010 top-of-the-line receiver. This was our first installation of this tank of a receiver. Both Adam and I were very impressed with it’s easy set up and effortless sound. 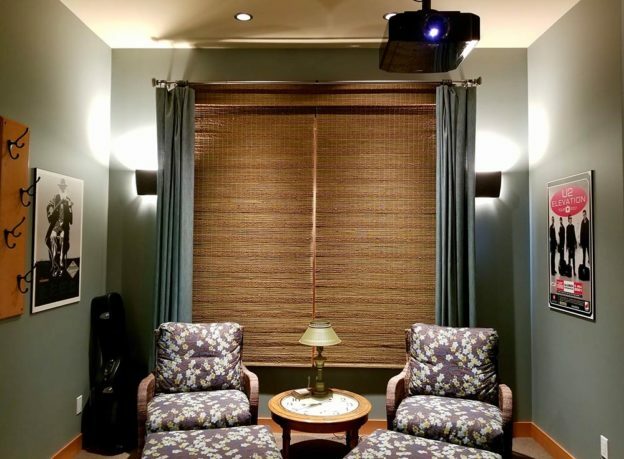 For Video we installed the new JVC projector and Screen Innovations wide-ratio wall-mount screen. What a great place to escape into a movie. Thanks both of you for allowing us to help you have this. 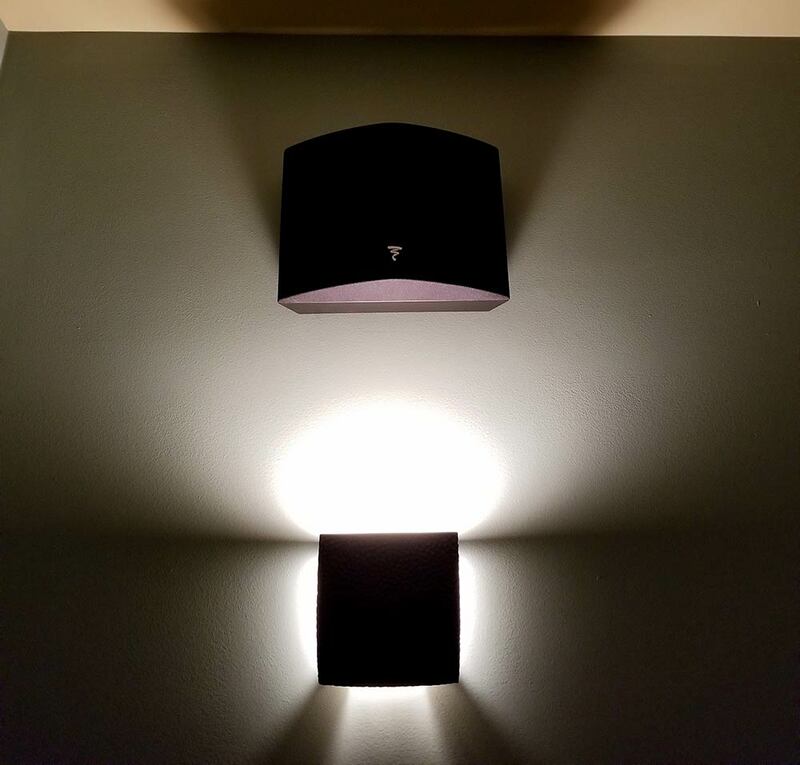 This entry was posted in Installations on May 20, 2018 by Jim Lee.